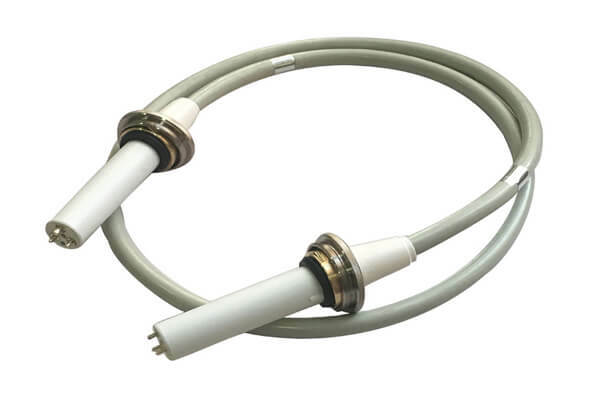 The high-voltage cable is an important part of the complete X-ray machine. It mainly connects the 150KV spherical tube and the high-voltage generator, heating the tungsten wire in the 150KV spherical tube and releasing the X-ray. The length of the 75kvdc high voltage cable 6m is 6 m, and the maximum voltage is 75KV. In the high-voltage cable used for X-ray machine, there are two kinds of high-voltage cable, 75KV and 90KV. The length of the 75kvdc high voltage cable 6m is longer, and the length of the Newheek high-voltage cable can be chosen between 2 and 16m. In the use of high-voltage cables, attention should be paid to the protection of high-voltage cables, not large-scale bending, lest damage, also can not be placed in high temperature areas, to prevent the melting deformation of the rubber sheath of high-voltage cables. Newheek have high voltage connector for 75kvdc high voltage cable 6m.